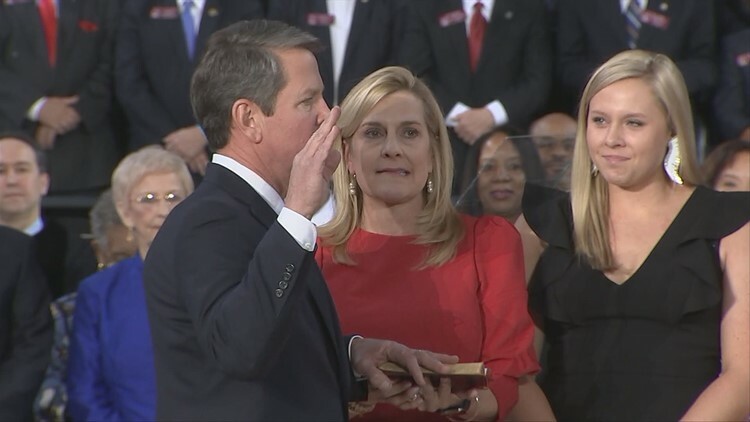 Brian Kemp was sworn in after a hotly contested race to be Georgia's governor. 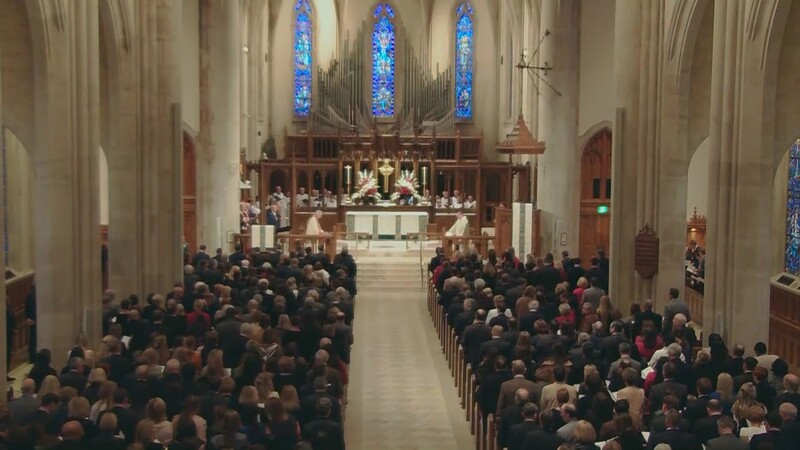 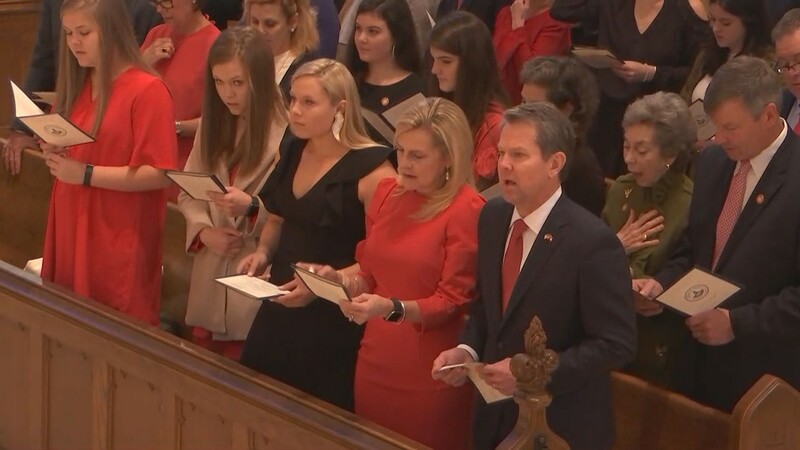 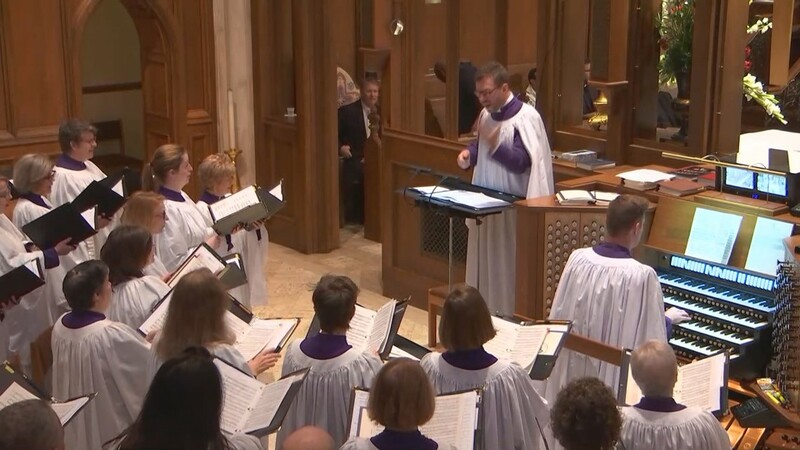 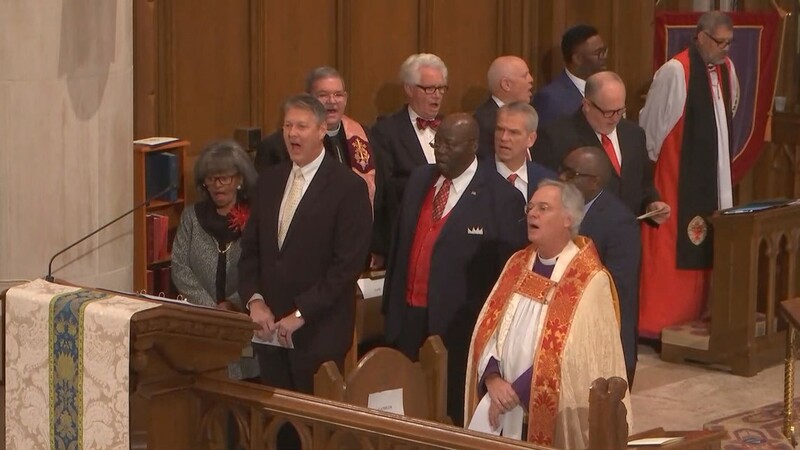 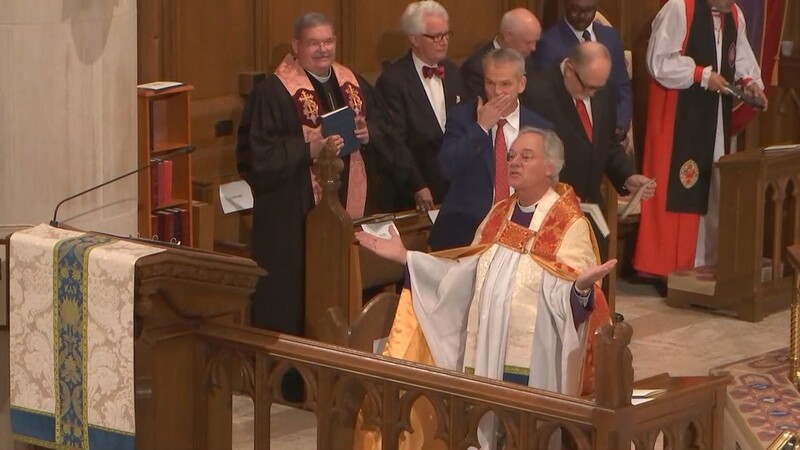 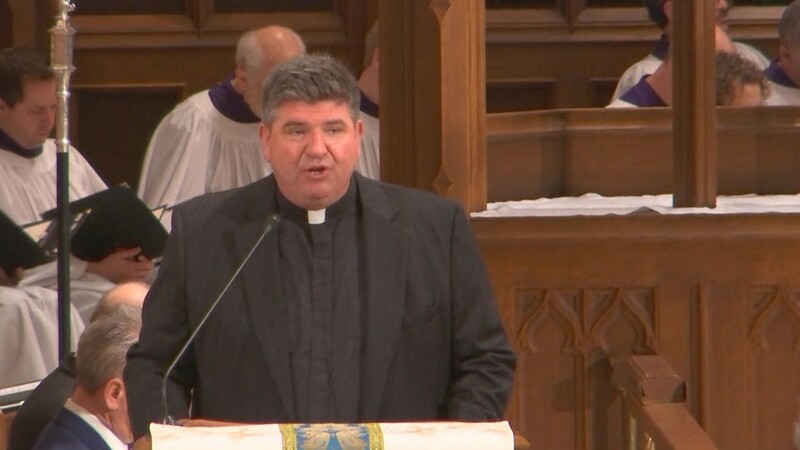 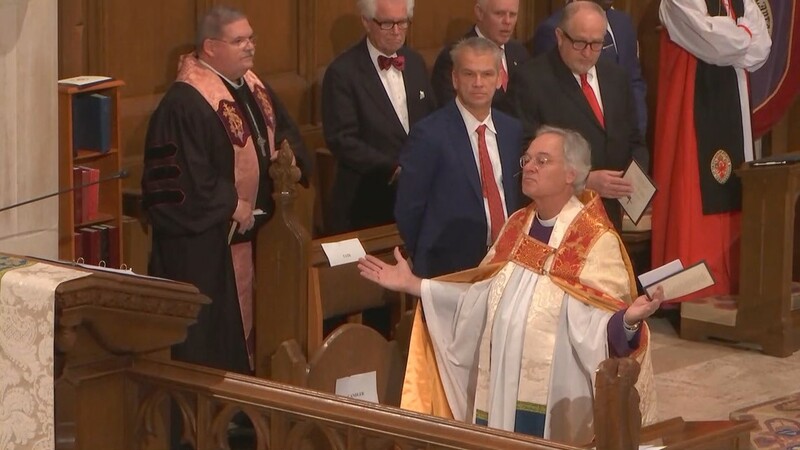 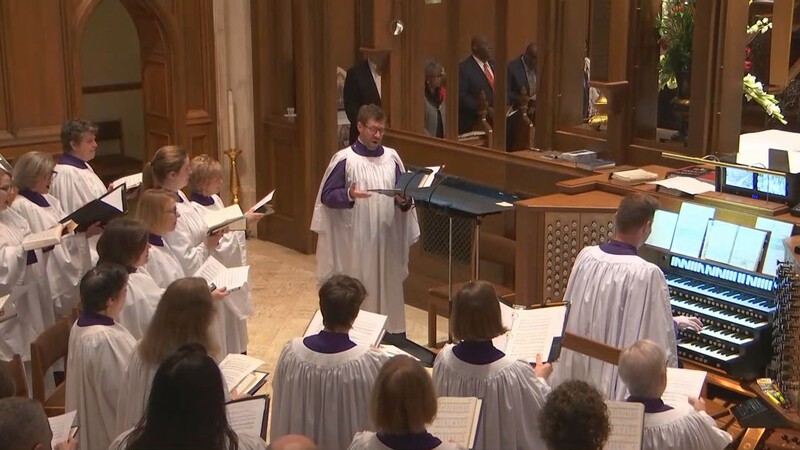 ATLANTA — The inauguration of Brian Kemp as the 83rd governor of the state of Georgia will begin with a prayer service this morning at 10 a.m. at The Cathedral of St. Philip at 2744 Peachtree Road in Atlanta. Kemp took an Oath of Office to serve Georgia's citizens at a formal swearing-in ceremony at Georgia Tech's McCamish Pavilion at 2 p.m. 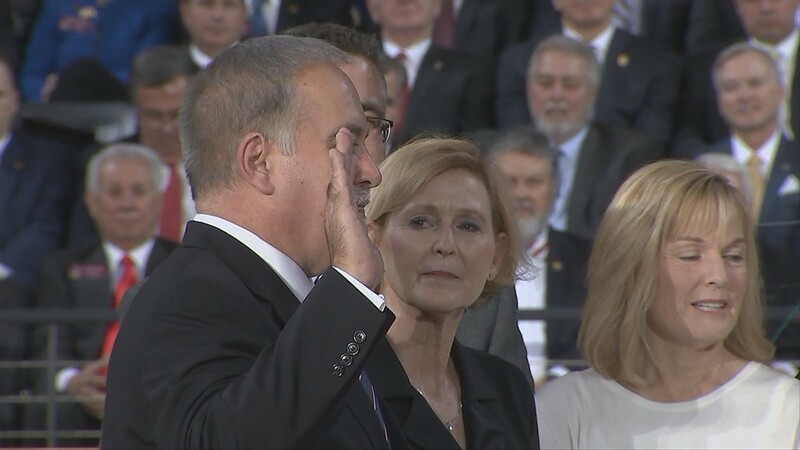 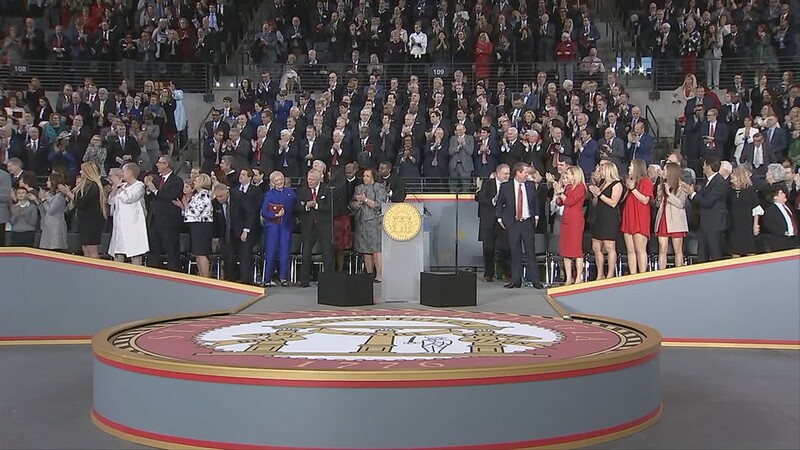 There was a "Passing of the Seal" ceremony, followed by the Oath of Office and Kemp's Inaugural Address. 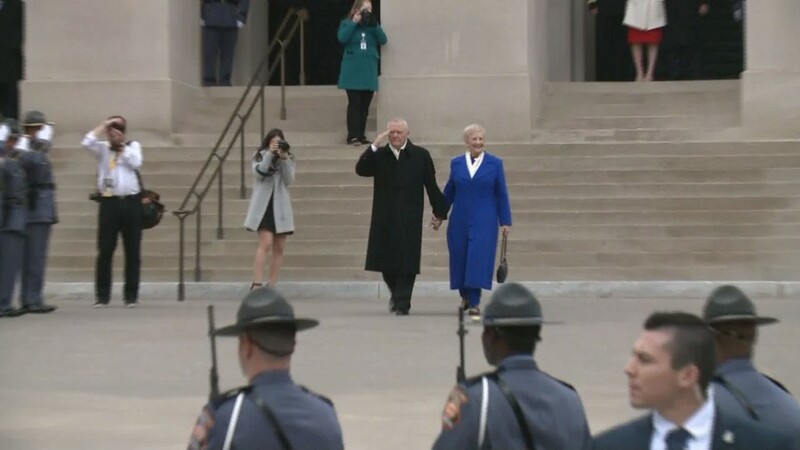 4:45 p.m. - Outgoing Gov. 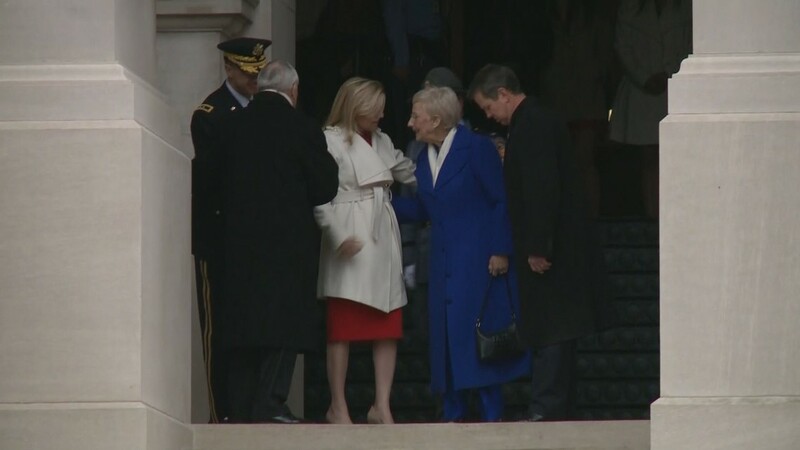 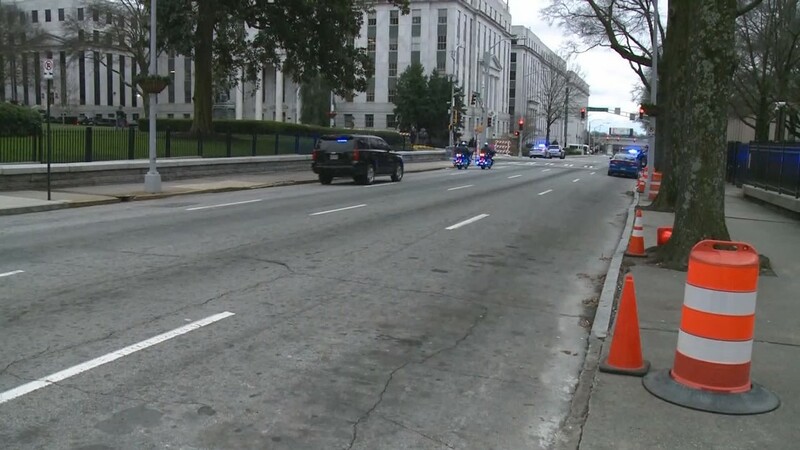 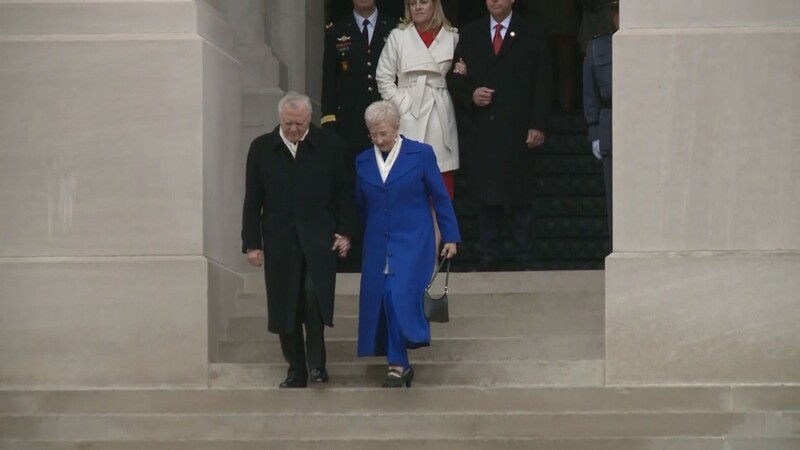 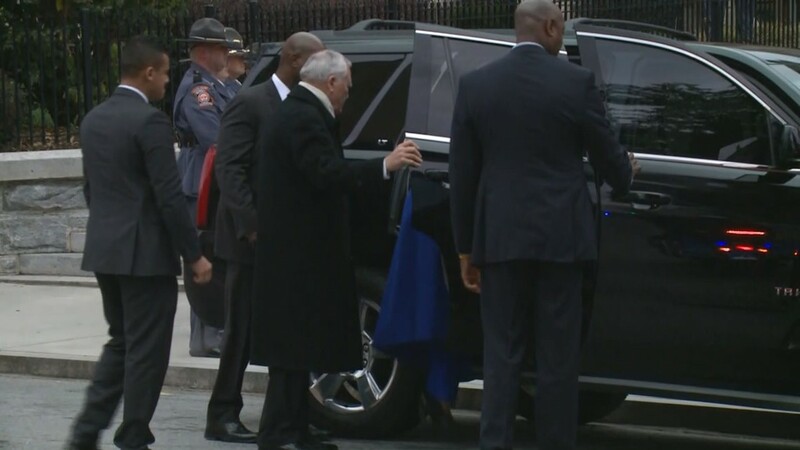 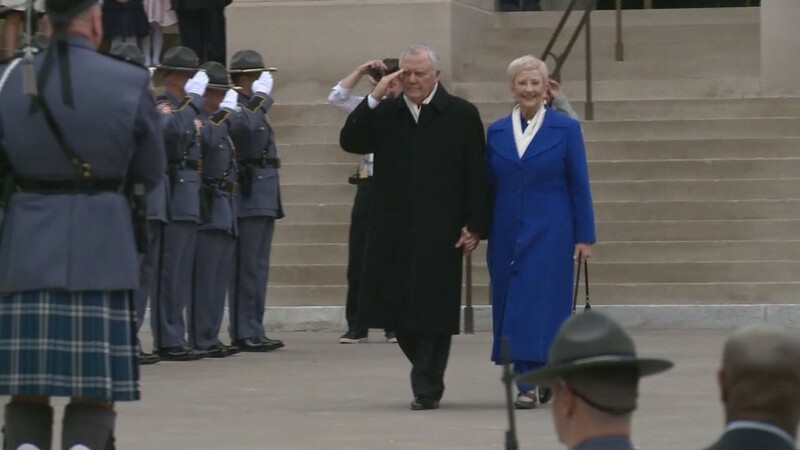 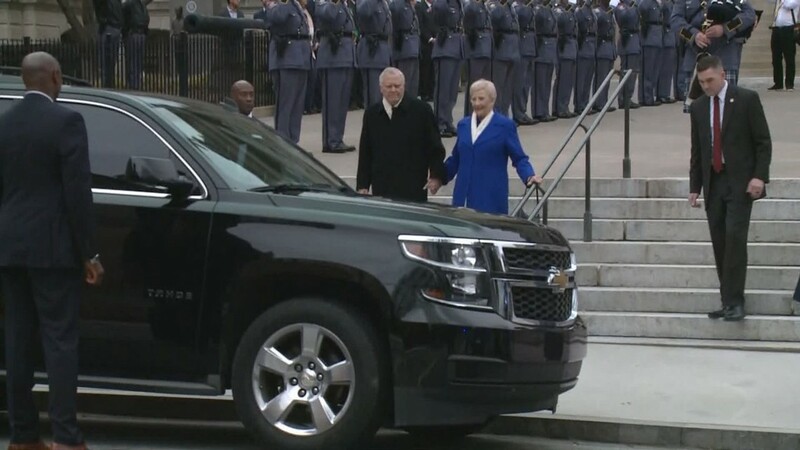 Nathan Deal and First Lady Sandra Deal departed the State Capitol. 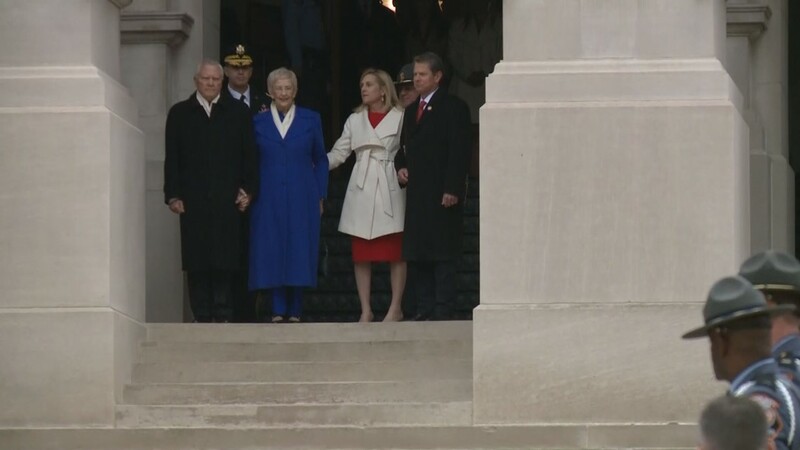 The ceremonial walk out with the Kemps was met with applause. 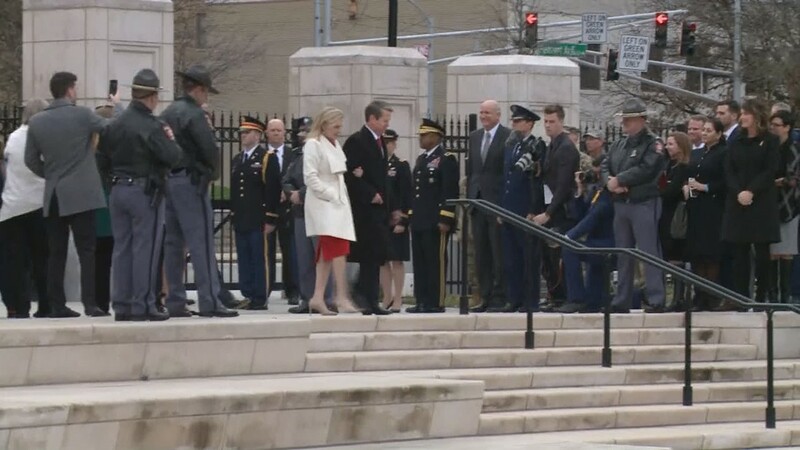 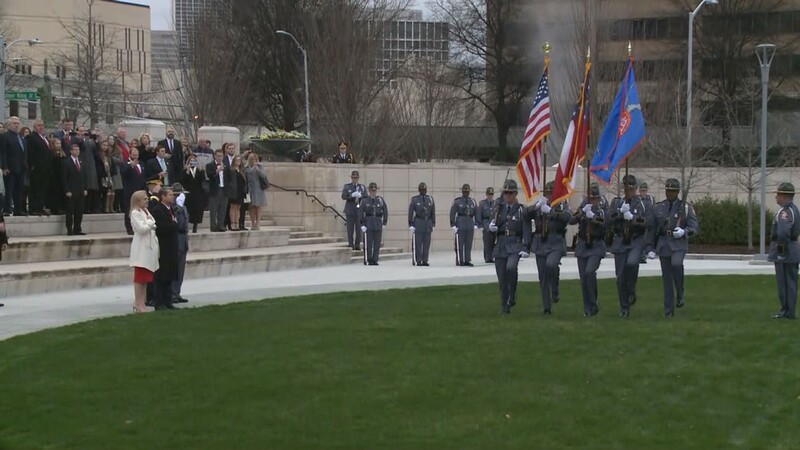 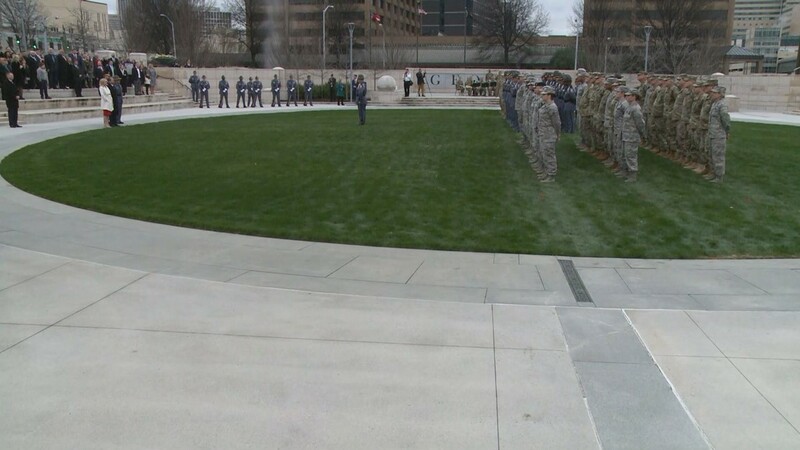 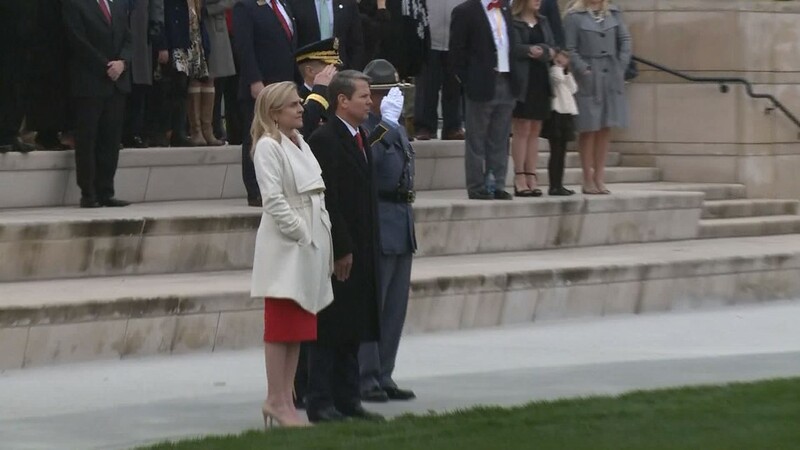 4:30 p.m. -- Brian Kemp participates in Review of the Troops at Liberty Plaza following his inauguration. 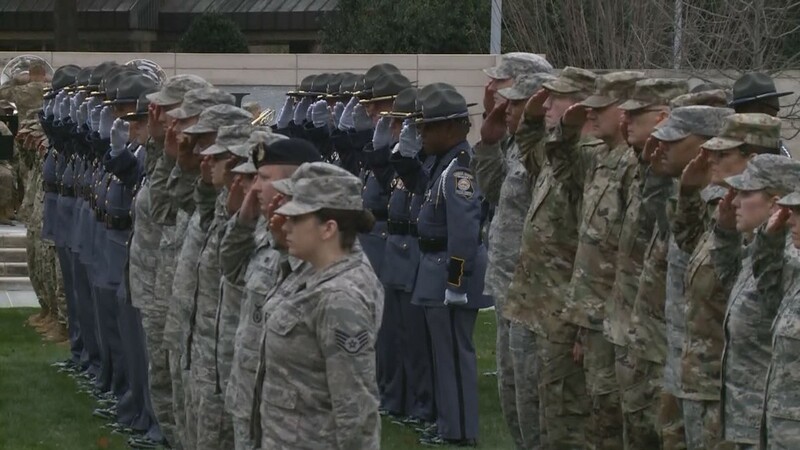 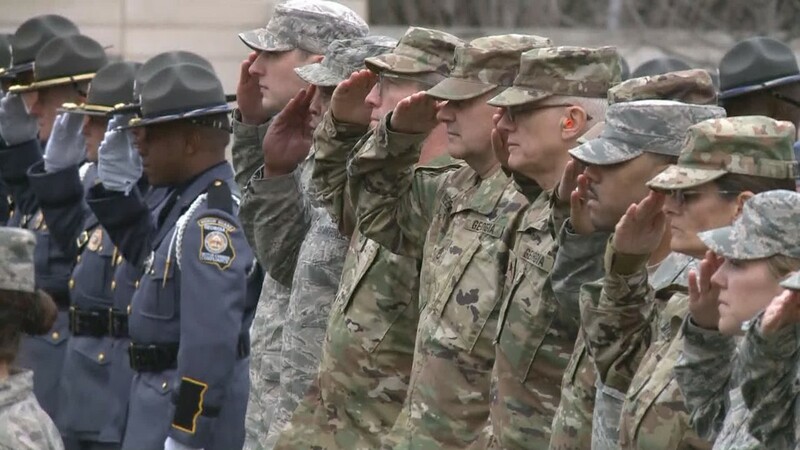 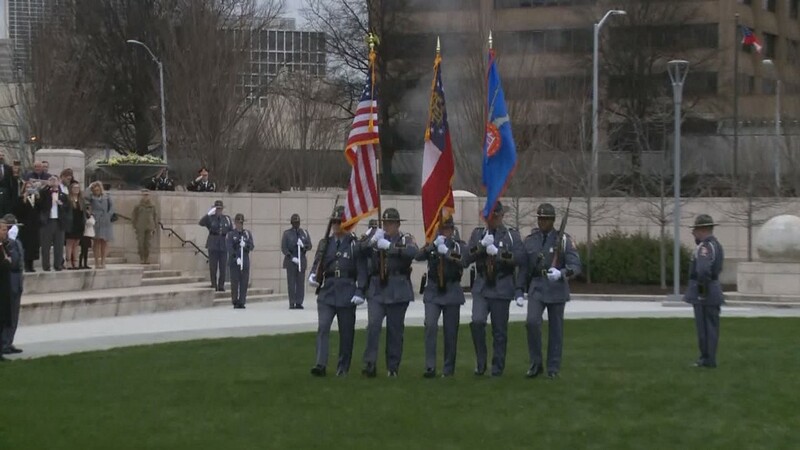 Members of the Georgia State Patrol, National Guard, Air National Guard and Georgia State Defense Force participated. 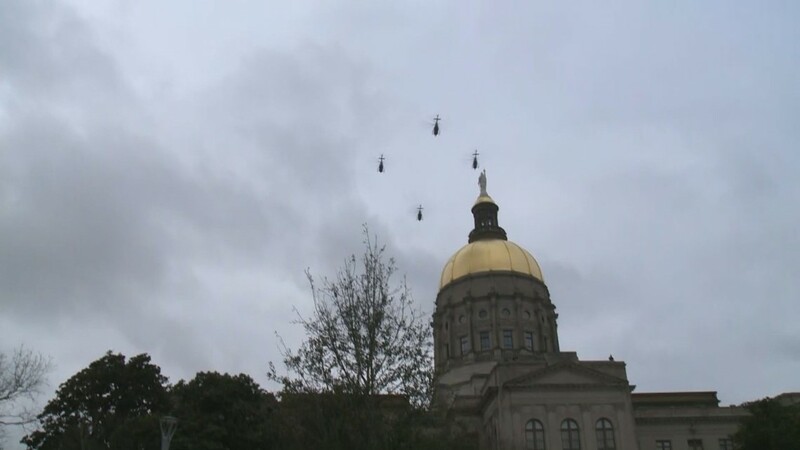 The Georgia State Patrol also did a flyover of the State Capitol. 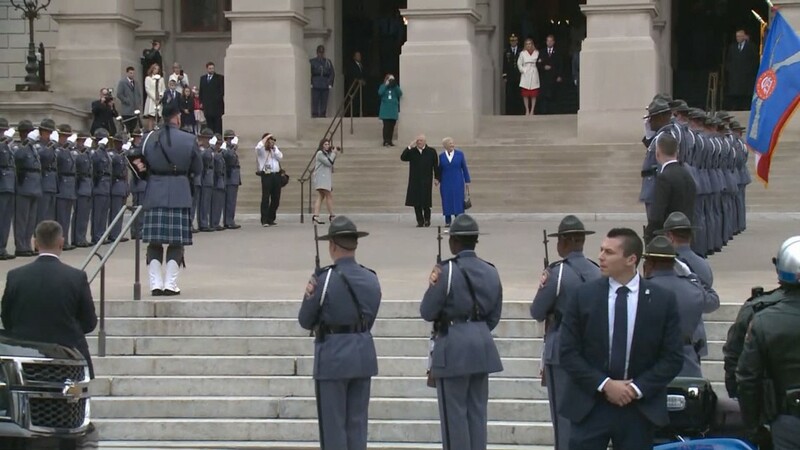 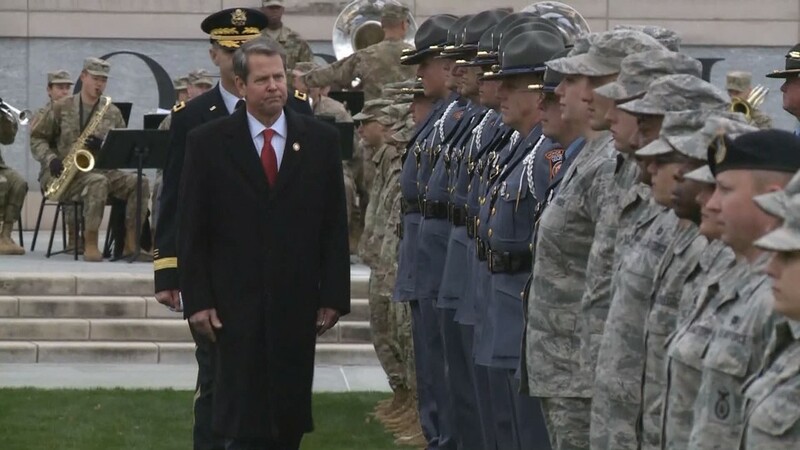 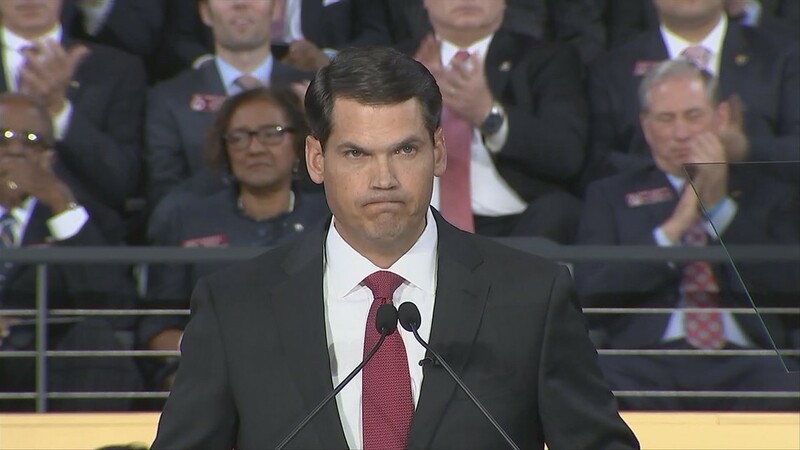 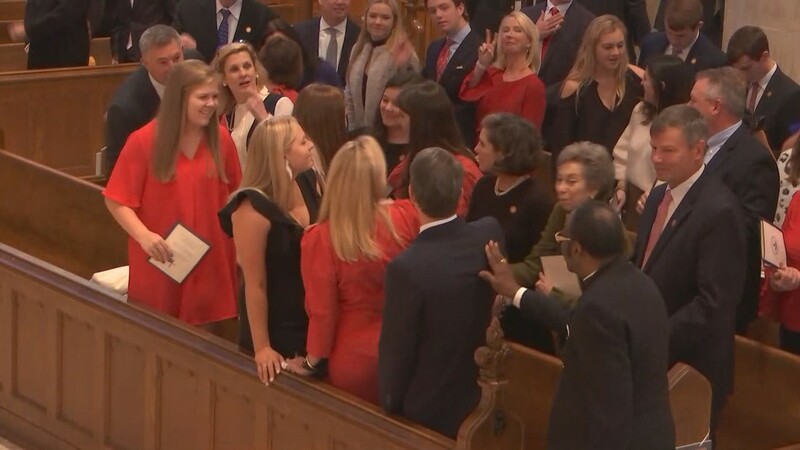 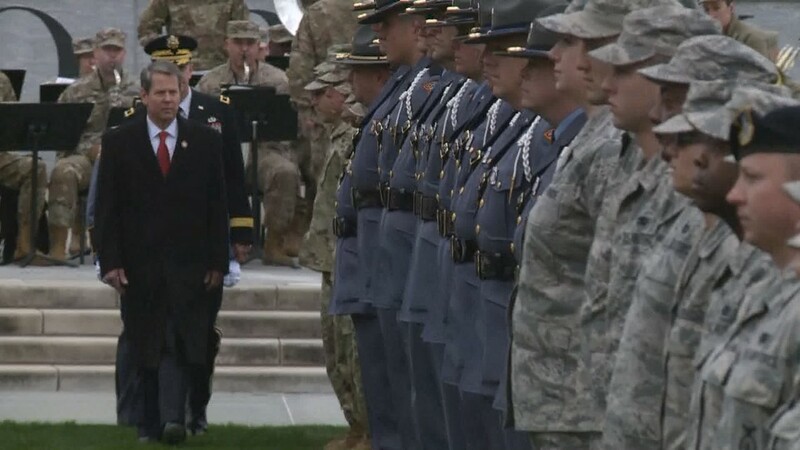 Brian Kemp does a formal Review of the Troops after his inauguration as 83rd governor of Georgia. 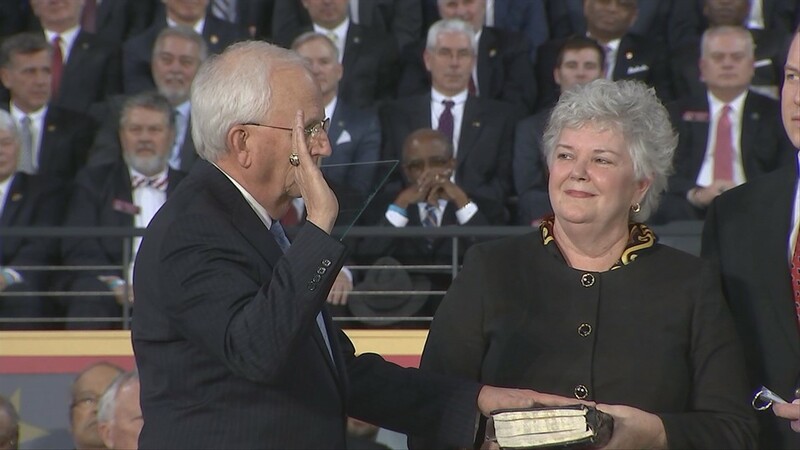 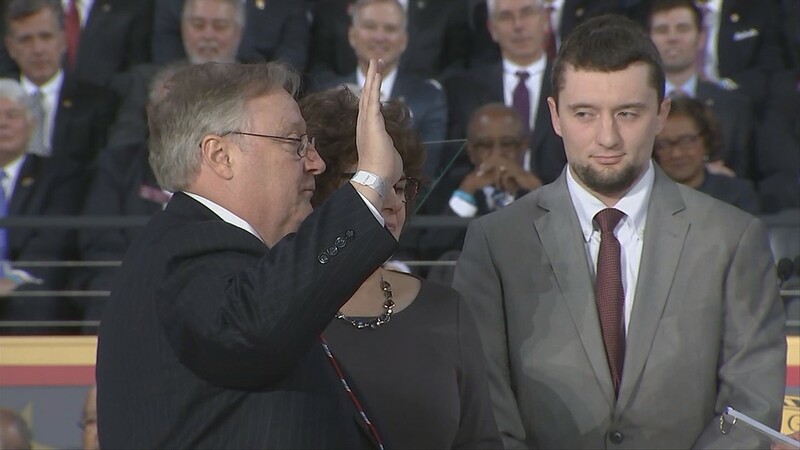 3:10 p.m. --Lieutenant Governor Geoff Duncan has taken his oath of office as Georgia's second-in-command. 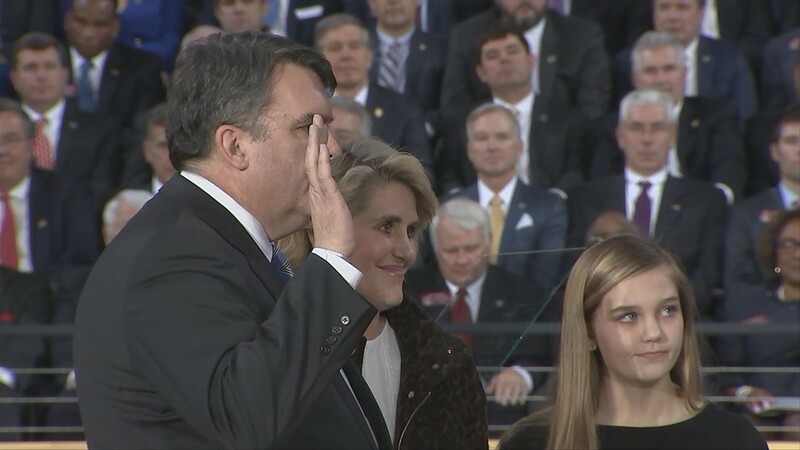 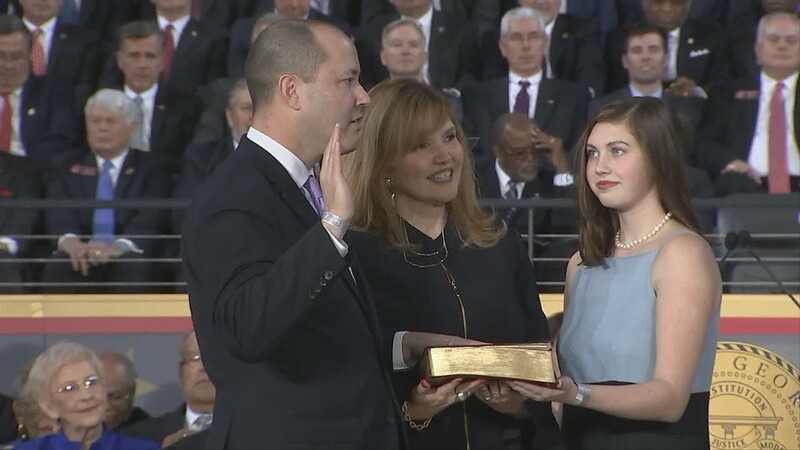 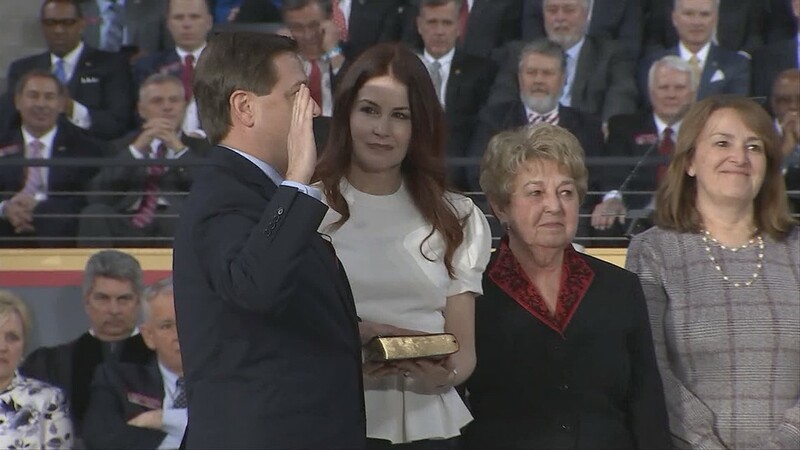 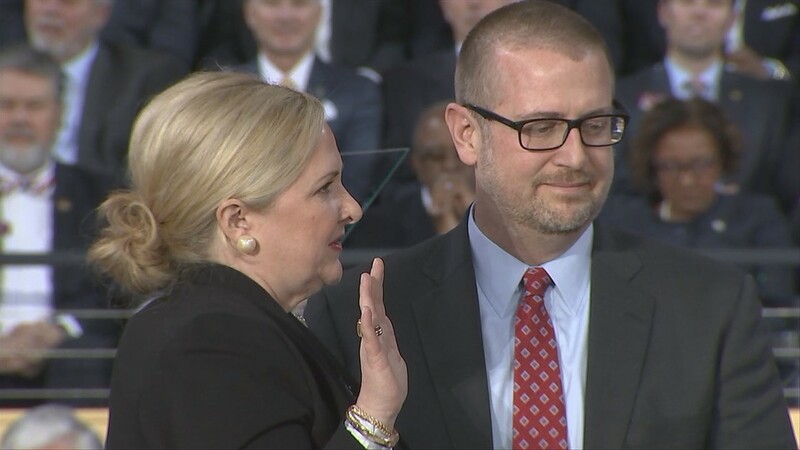 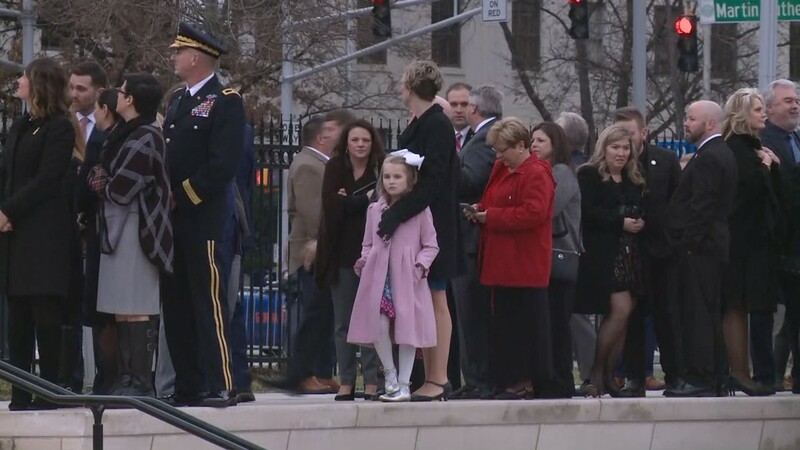 His wife and children were by his side as Kemp delivered his oath of office. 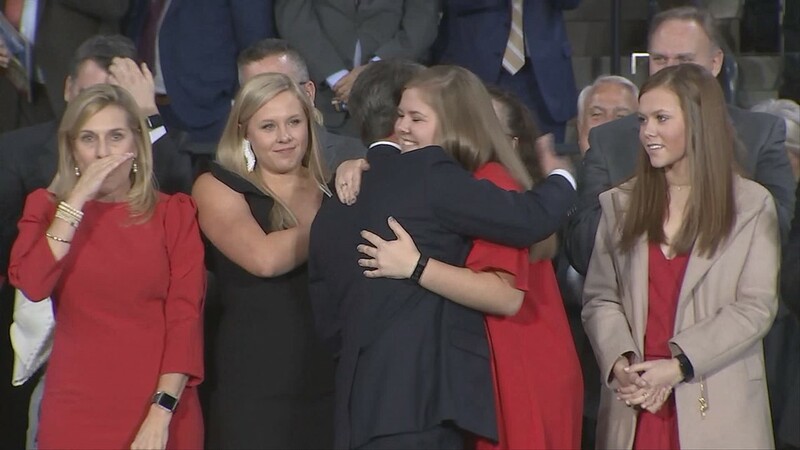 3:05 p.m. -- Students held signs outside McCamish Pavilion, where Brian Kemp was being sworn in as Georgia’s 83rd governor. 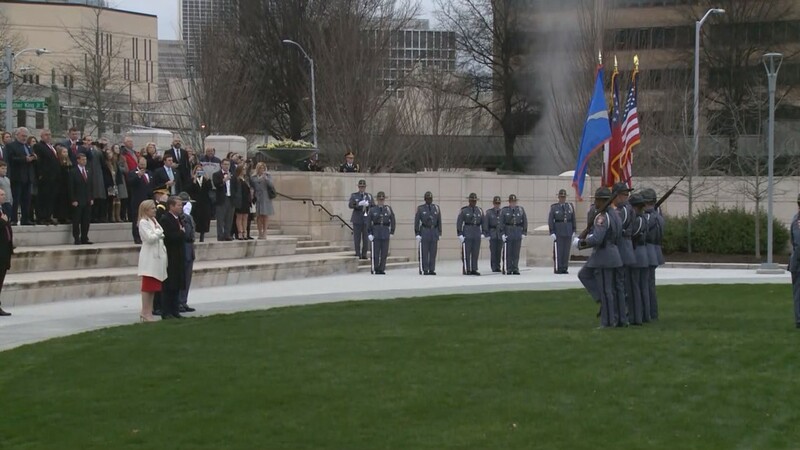 Student protesters gathered outside the Georgia Tech pavilion to protest Brian Kemp's inauguration. 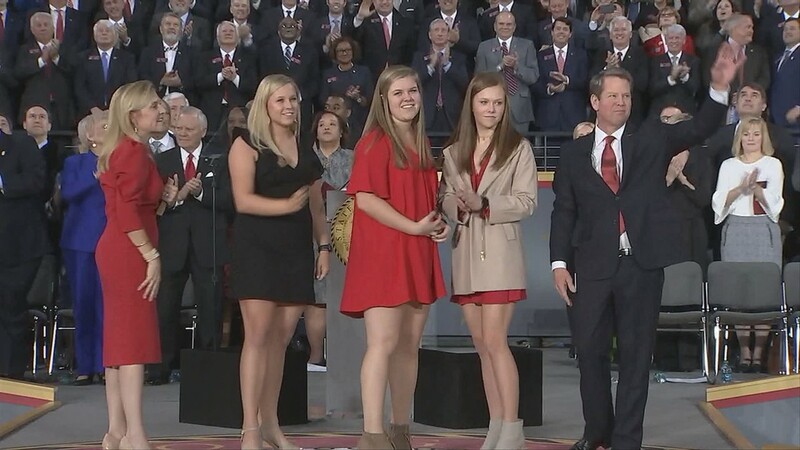 3 p.m. -- Brian Kemp promises to "keep Georgia moving in the right direction" by fully funding education with a focus on public safety, using the phrase "It Can Be Done." 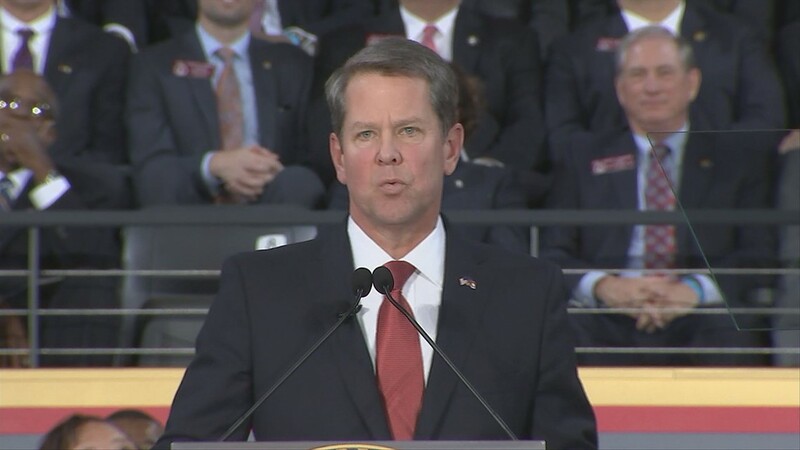 "I vow to fight for all Georgians -- even those who didn't vote for me," Kemp said. 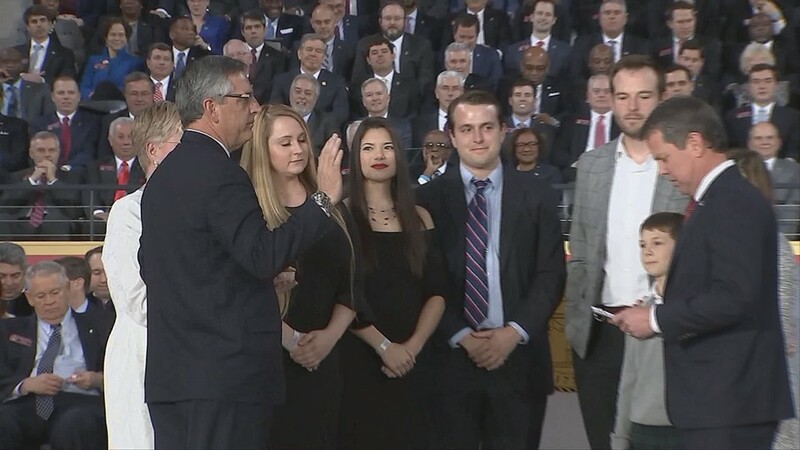 Brian Kemp takes the Oath of Office as governor of Georgia. 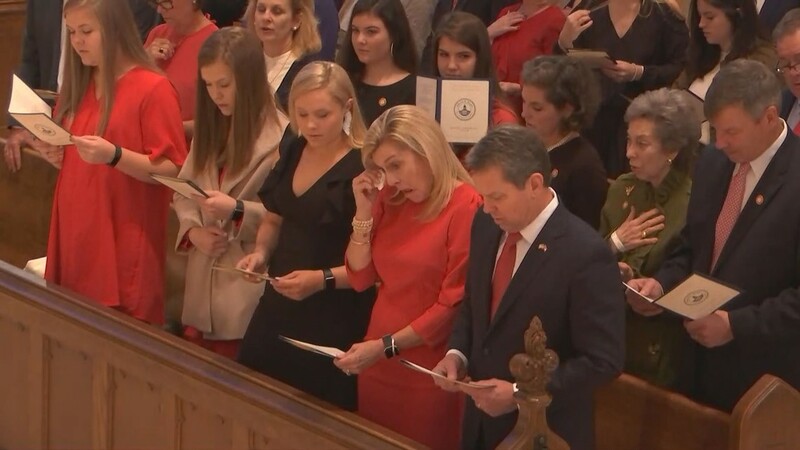 Brian Kemp is officially sworn in as Georgia's 83rd governor. 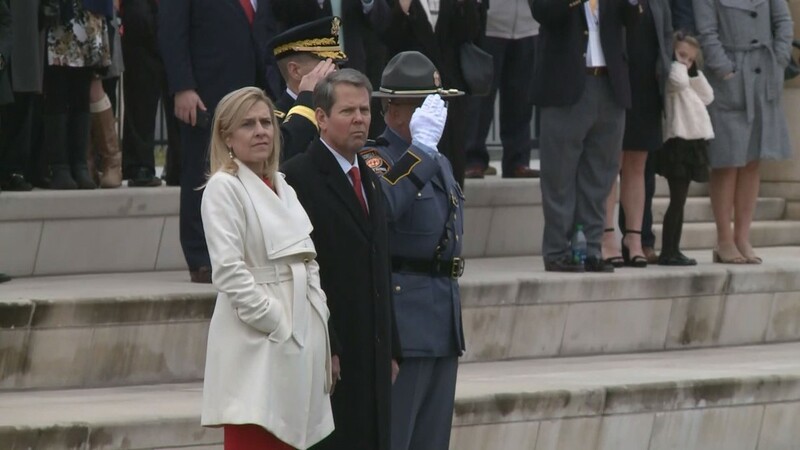 2:15 p.m. - Kemp tweeted a photo of him praying before joining the stage at McCamish Pavilion. 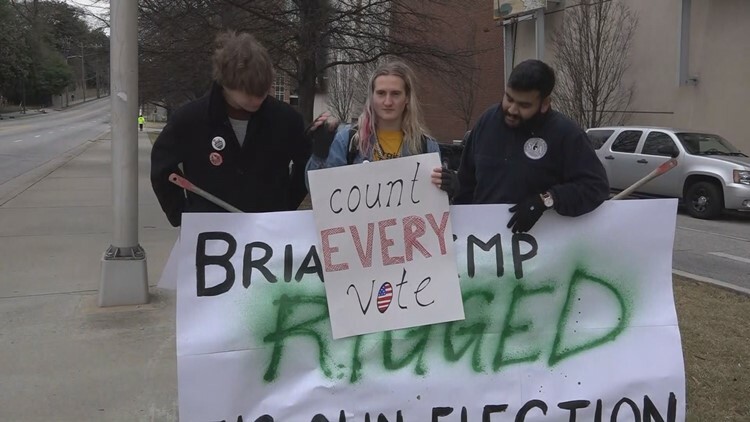 2:05 p.m. -- Georgia Tech students are standing outside McCamish Pavilion protesting Kemp's inauguration, holding signs and chanting about restoring voters rights. 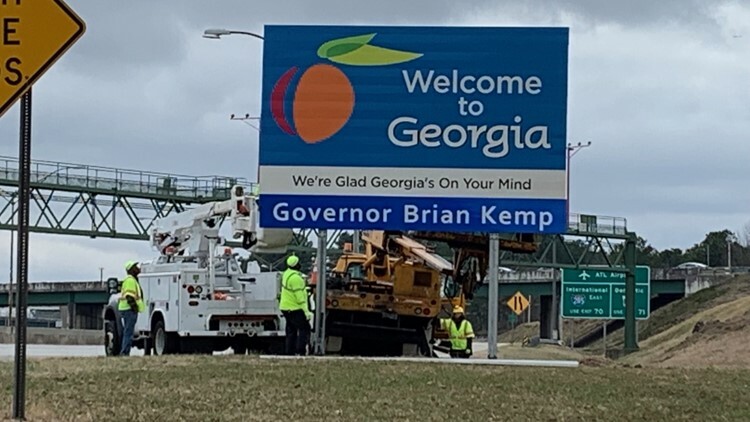 2:05 p.m. -- 11Alive was there as the sign greeting people into Atlanta from Hartsfield-Jackson Airport is switched over to mention Governor Brian Kemp. 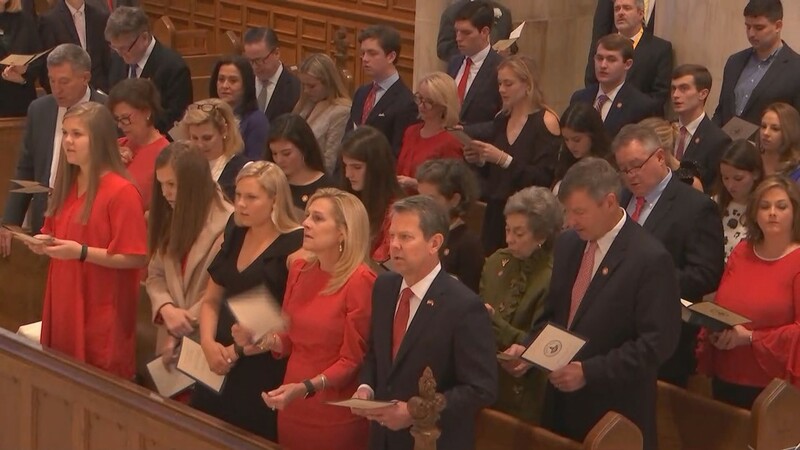 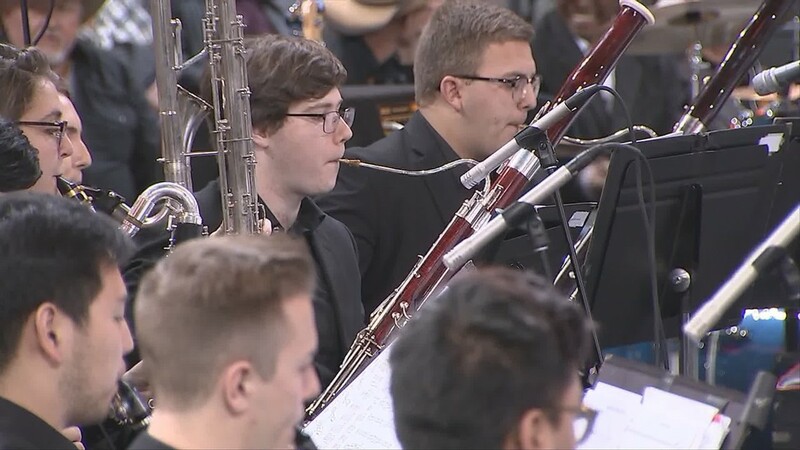 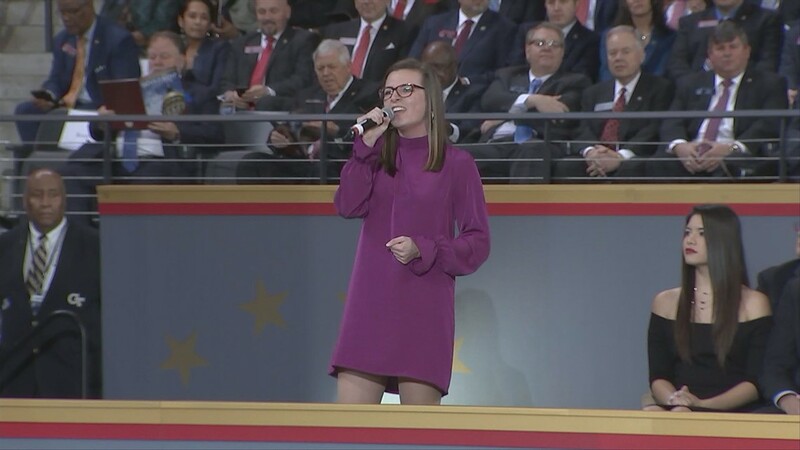 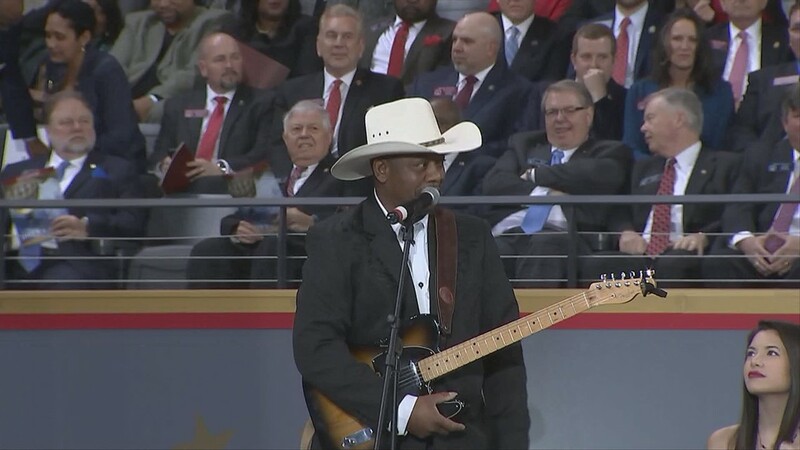 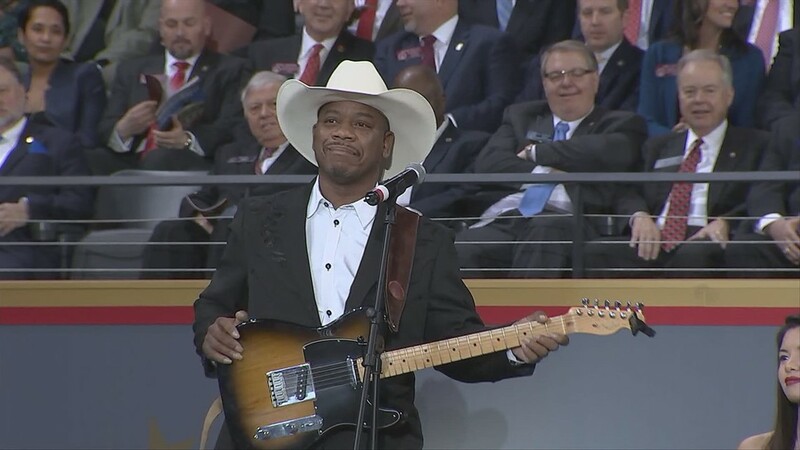 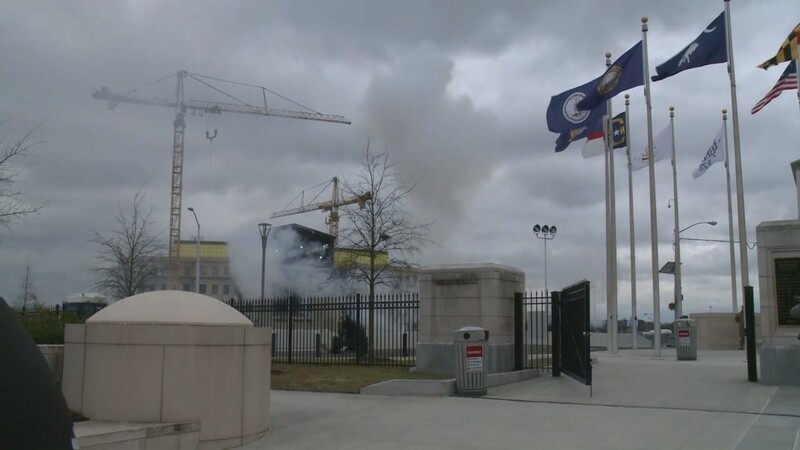 Signs were switched to say "Governor Brian Kemp" on the day of Kemp's inauguration, Jan. 14, 2019. 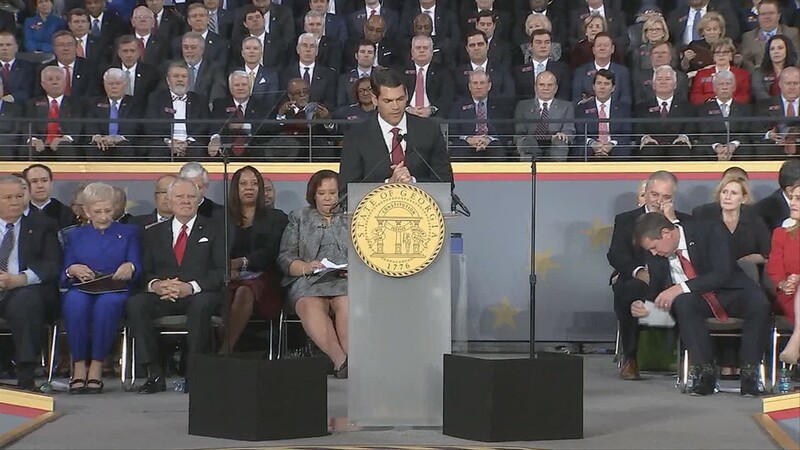 2 p.m. -- Brian Kemp's inauguration Ceremony is now underway. 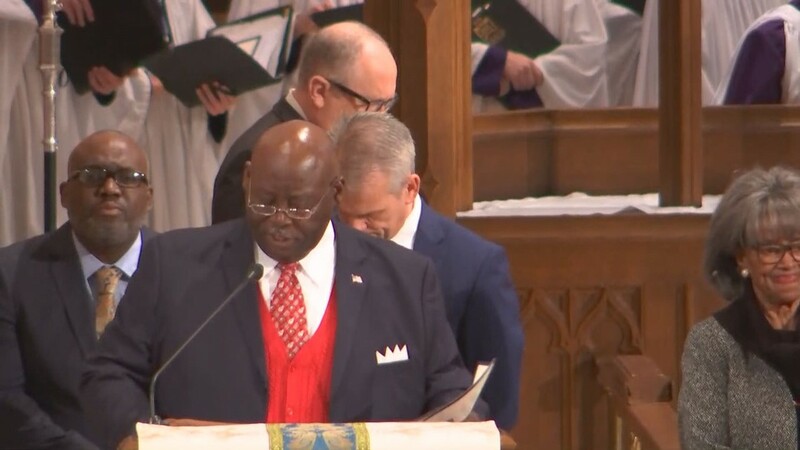 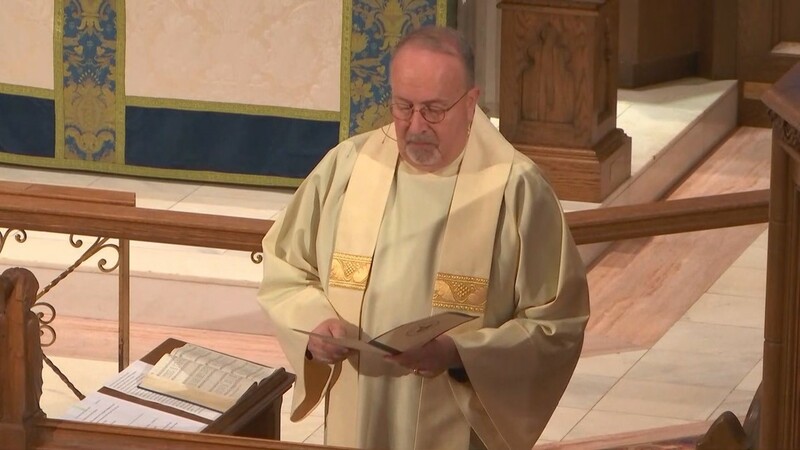 10:45 a.m. --The prayer service is wrapping up. 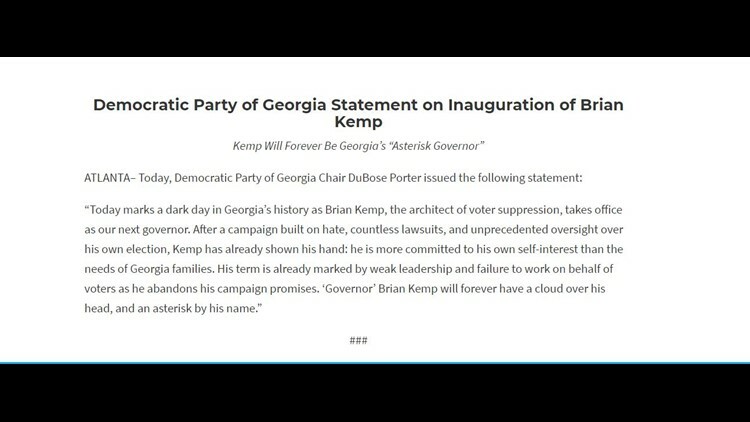 10:38 a.m. --Democratic Party of Georgia says Kemp will forever be the Asterisk Governor. 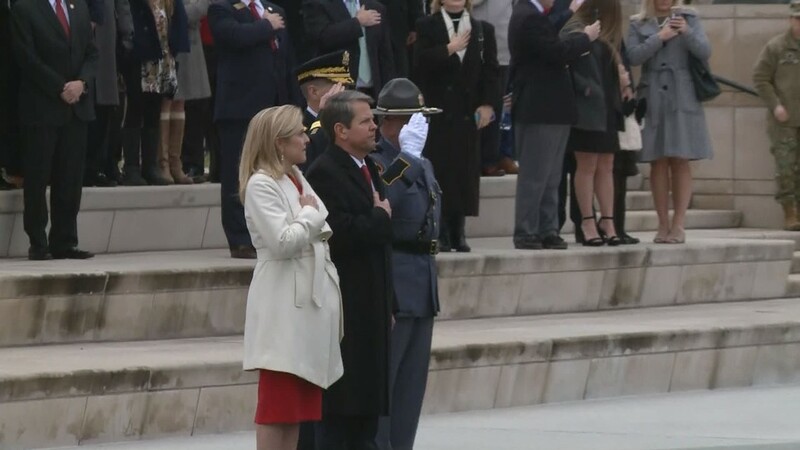 10:27 a.m. -- The Democratic Party of Georgia is not happy about today's inauguration. 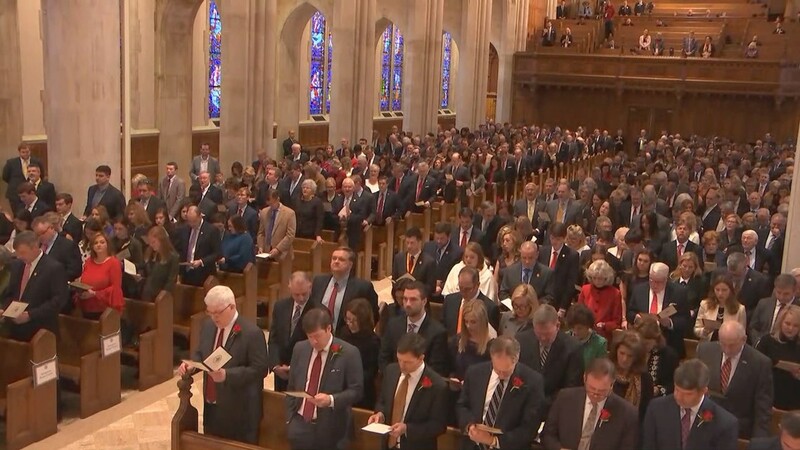 10:06 a.m. --The prayer service is underway. 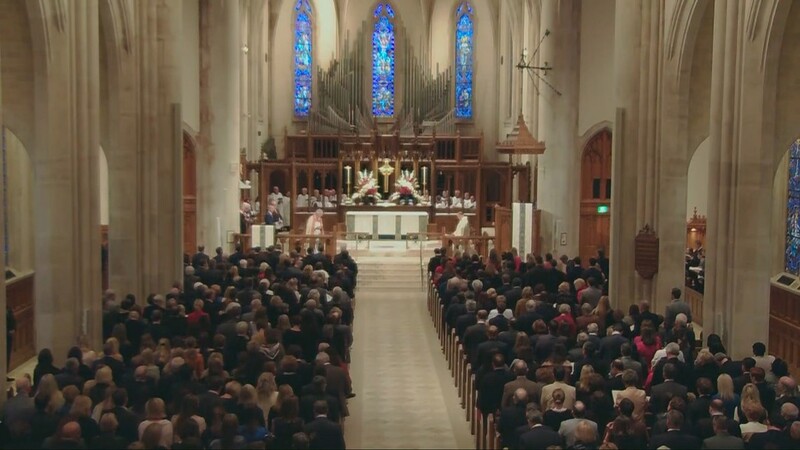 9:36 a.m. --Prayer service is just moments away. 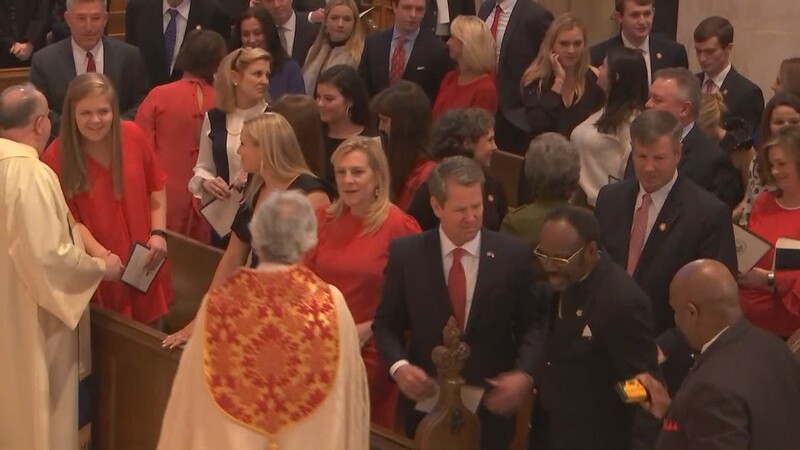 8:40 a.m. --Kemp said he just finished his walk through. 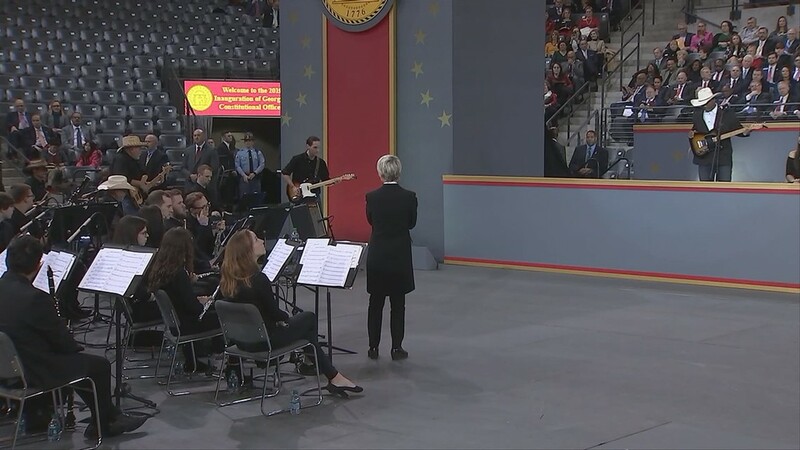 5:09 a.m. --It's currently quiet, but not for long! 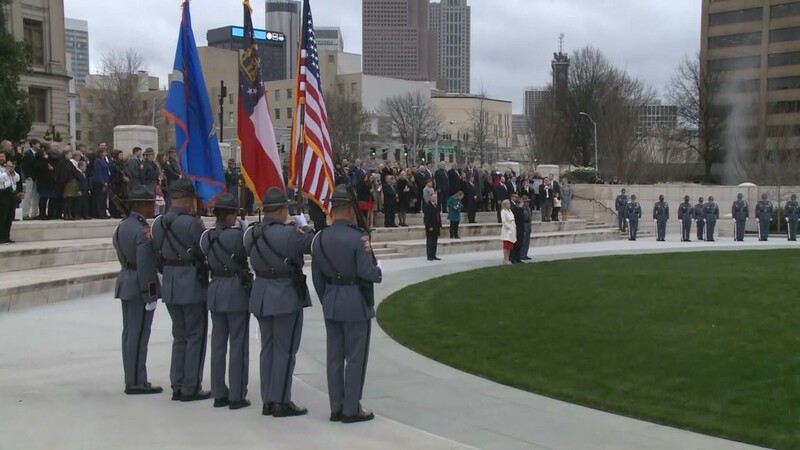 4:44 a.m. --11Alive will be tracking all of the events this morning!